Have you ever been slapped across the face? I mean a full-force-make-your-head-spin kind of slap right across the cheek. I don’t recall ever getting physically slapped like that (or I just blocked it out of my mind) but I have been mentally and emotionally slapped. It’s not a good feeling but it definitely wakes you up! Over the past 3 months I think I’ve been slapped almost every time Matt is on shift. You see sometimes it’s challenging being the mom that handles it all while daddy is “on the fire truck” and “driving the ambulance” (as Ben says) and I don’t see him for 2 days and then when I do finally see him he’s sleeping. I’m not going to go on and on with details because there are plenty of wives who have been living this fire life for years supporting their firefighter as well as military wives who say goodbye to their husbands for months or years at a time and handle the home front themselves BUT when I’ve reached my limit of teenage attitude or potty training gone wrong I just may send my brave firefighter a brief little text of my frustration…and then it happens… SMACK!! THE SLAP. My perspective of what I’m dealing with is immediately changed. I realize how minute my problem is and what a horrible nightmare someone else is living at that moment. Like the families of the young couple that were hit by the speeding car Saturday morning at 2:00am. Matt was one of the first responders to the scene. After the “slap across the face” my first thoughts were for the families of these people, the phone calls they probably received and the shock they are now living in. I take these slaps across the face as wake up calls. They tell me to examine my “problems” a little bit further. Pick my battles a little better. Live for God and enjoy each and every minute with your loved ones here on earth because no one knows how long God has planned for any of us to be here. Aw, Heather, you are so right. But also know that, even our ‘little’ problems can be taken to the Lord because you are important to God too. I struggle with this same issue on a daily basis as well, and then I feel so guilty for being selfish and thinking of myself when so many people out there are dealing with such terrible things. You are a sweetheart Heather and a blessing to you Matt and the kids!! Love ya! I love you girl. You are a awesome mom and wife. 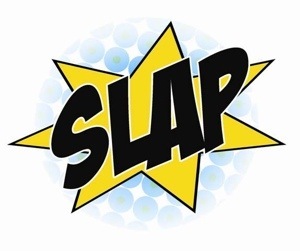 Yeah remember we’re out there getting slapped too, sometimes literally. Heather, thank you for accepting me as your friend of facebook. I have heard about your blog and have been wanting to read it. I can relate to how you feel. My husband is also a fireman and works 48 hours in a row. When he gets home on that 3rd day pretty much all he wants to do is sit around and watch television or sleep. I try not to complain because he does work hard and like you said, they see some terrible things while on duty. He is also in the Navy and has been deployed to Iraq twice, so I have a double whammy. I just put everything in the Lords hands and I know that everything will work out. Hi Terri! Sounds like your husband is very busy! Plus he fixes our A/C at least once a year :). I hope you enjoy my blog. I’m new to this fire life so feel free to share any advice or experiences you have had. I look forward to getting to know you. I’m with J…I wish I could say it gets easier, but it doesn’t. They have their daily challenges and we have ours (my husband has been a firefighter for 7 of the 9 years we have been married and we had kids after he started at the fire department). Being the mom and dad when the husband is at work is tough, sometimes the best thing to do is give yourself a 5 minute “timeout” and hide in the bathroom!